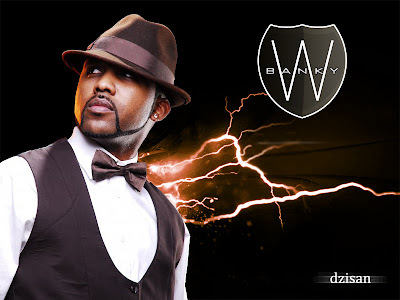 E.M.E Chairman, Banky W, was expected to deliver the very highly anticipated #R&BW album earlier this year... however, in a move that caught his numerous fans and followers by surprise, he postponed the release of his solo material to put the EME Crew in the forefront. This turned out to be a good decision for the crew, as 2012 witnessed the release of the "Empire Mates State Of Mind" album arguably Nigeria's biggest and best album this year. As a businessman and record executive, he has enjoyed tremendous success. Banky W is accomplished as an M.C/host, having hosted events such as the 2011 Channel O Awards, and many similar high profile events. Banky has also launched his acting career with a Stellar debut recurring role on the final season of MNET's hit TV show "Jacob's Cross". He also remains one of the most relevant voices for Nigeria's youth, taking prominent roles in everything from #LightUpNigeria to the Fuel Subsidy Protests. However, fans of Banky the Singer have been wondering when Africa's R&B King would take a break from being a businessman, loosen up his tie, and get back in the booth. He's had his fair share of collaborations with Artistes in and outside EME, but it's been almost three years since the release of "Strong Ting" and "Lagos Party", evergreen songs which cemented Mr. W's place in the Nigerian Music Scene, and kick-started the tremendous success the label has experienced. Two brand new singles lead the way for the forthcoming #R&BW album. The first is "Yes/No", where we see Banky once again team up with the legendary Cobhams Asuquo, to create another undeniably evergreen Nigerian ballad. Lovers of love songs will be thrilled beyond limits as Banky effortlessly shows off his vocal prowess over a perfect musical backdrop from Cobhams. The second single, "Good Good Loving" is produced by Spellz. African R&B has never sounded so fresh. If these two songs are any indication, the #R&BW album WILL undoubtedly be another masterpiece; another classic product from Nigeria's leading label EME; and the expectations of Banky's long-starved fans will be met - maybe even exceeded.